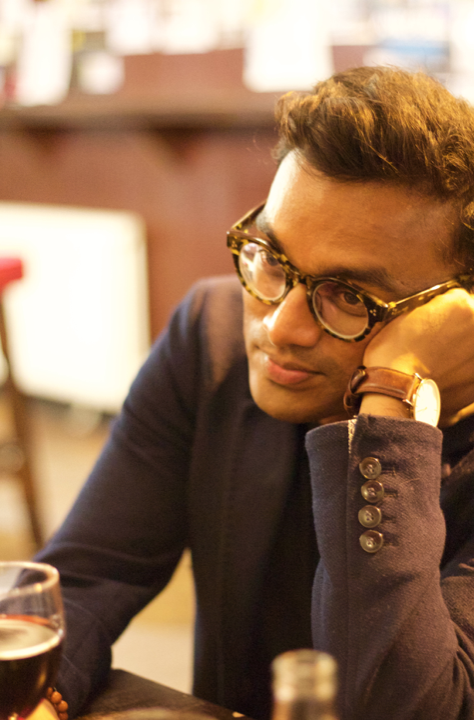 Raamy Majeed (pictured above) is a Postdoctoral Research Fellow at the Faculty of Philosophy, University of Cambridge, and a member of the John Templeton Foundation Project ‘New Directions in the Study of Mind’. He is also a By-Fellow at Churchill College, University of Cambridge. In this post he writes about emotional recalcitrance. ‘Irrational’ or ‘recalcitrant’ emotions are those emotions that are in tension with our evaluative judgements. For example, you fear flying despite judging it to be safe, you are angry at your colleague even though you know her remarks weren't offensive, and so on. Much of the present philosophical work concerning these emotions involves spelling out the precise nature of the conflict. Some argue that such emotions involve rational conflict, where subjects undergoing such emotions are endorsing two conflicting judgements, e.g. that flying is both safe and unsafe. By contrast, others argue that subjects are undergoing some other form of conflict, say endorsing a judgement that runs counter to an evaluative feeling, e.g. judging that flying is safe and yet feeling negatively towards it. Rationality and recalcitrance, however, are two notions that can come apart. In other words, whether an emotional episode is irrational is a separate issue from whether it is recalcitrant, i.e. obstinate or mulish. For instance, say you are at a salsa club, and the person you are dating starts to dance with a handsome stranger. You also know the club conventions about trading partners, and that there is nothing romantic associated with it. Your bout of jealously would (arguably) be irrational, but what would make it also recalcitrant is if it continues to persist despite your better judgement. What philosophers label ‘recalcitrant emotions’ track emotional episodes that are both irrational and recalcitrant. But what they don’t provide an account of is what gives these emotions their name, viz. their recalcitrance. Almost twenty years ago, Paul Griffiths (1997) attempted to explain “irrational emotions” using his affect-program theory. In brief, emotional responses can be triggered in two ways: by appraisal mechanisms that are quick and automatic, and “more or less” cognitively impenetrable, and by mechanisms that are slow, non-automatic, and cognitively penetrable. Very roughly, an appraisal mechanism is cognitively penetrated if it processes information top-down: the way it processes information, e.g. about external stimuli, is influenced by higher-order cognitive processes, including beliefs and judgements. Griffiths central idea is that irrational emotions occur when emotions are triggered by appraisal mechanisms that aren’t cognitively penetrated. The affect-program theory has fallen out of favour, in part because it gets jumbled up with Griffiths’s controversial claims about which emotions do and don’t form natural kinds. Moreover, contemporary philosophers of emotions neglect his exposition because it fails to explain the precise nature of the conflict vis-a-vis rationality. Still, the twin-pathway model of emotion generation, which is at the heart of the affect-program theory, has proven to be a fruitful and popular model. LeDoux (1996) has confirmed a twin-pathway neurobiological account of fear responses, and there is evidence to suggest that other emotions can also be aroused by distinct pathways, some more cognitively penetrable than others. Without committing to his theory of emotions wholesale, we should, then, vouch for the effectiveness of Griffiths’s model of emotion generation. What he got wrong, for our purposes, is the explanatory target. A twin-pathway model of emotion generation, framed in terms of cognitive penetration, fails to capture the way in which certain emotional episodes can be irrational — that is assuming emotions can be labelled irrational at all. But it might help capture the the recalcitrant nature of such emotional episodes. I argue that recalcitrant emotions are recalcitrant to the extent that they are cognitively impenetrable. I do so by drawing on the recent empirical findings by McRae et. al. (2012), which show that emotions generated by appraisal mechanisms that aren’t cognitively penetrated are more resistant to cognitive influence than those that are. Much of this is spade work. But by tying in the notion of emotional recalcitrance with that of cognitive impenetrability, what we gain is the ability to enrich our understanding of emotional recalcitrance through scientific investigation. For example, one of the findings by McRae et. al. was that cognitive re-appraisal in cases where emotions were generated bottom-up had the reverse effect: they heightened negative emotional responses rather than reduced them. This suggests that recalcitrant emotions, where they prove harmful, might be best treated by means other than training patients to try to down-regulate them.